Jameis Winston of FSU wins Heisman Trophy after sexual assault case. Now this is a story you will learn nothing by we approve this type of action with a trophy. 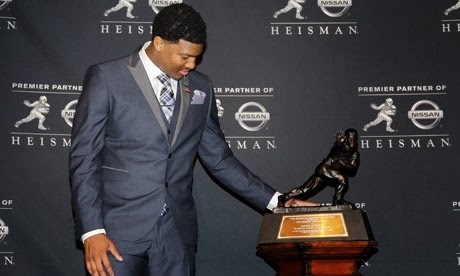 The Heisman Trophy is a joke.